14.April Friday Laski equipment stores Aiatäht in Harjumaa and Tööriistakeskus in Tartu are closed. 15.April Saturday we are opened as usual. Normal open hours, see: HERE! 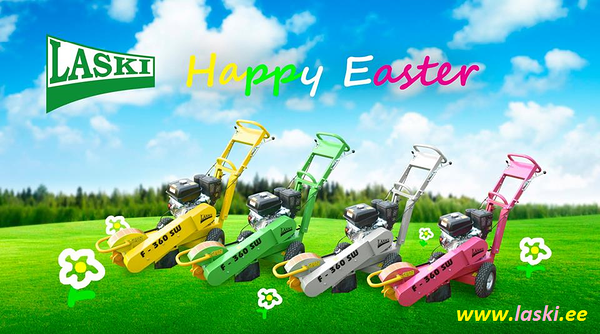 We wish to our customers and partners a Happy Easter!